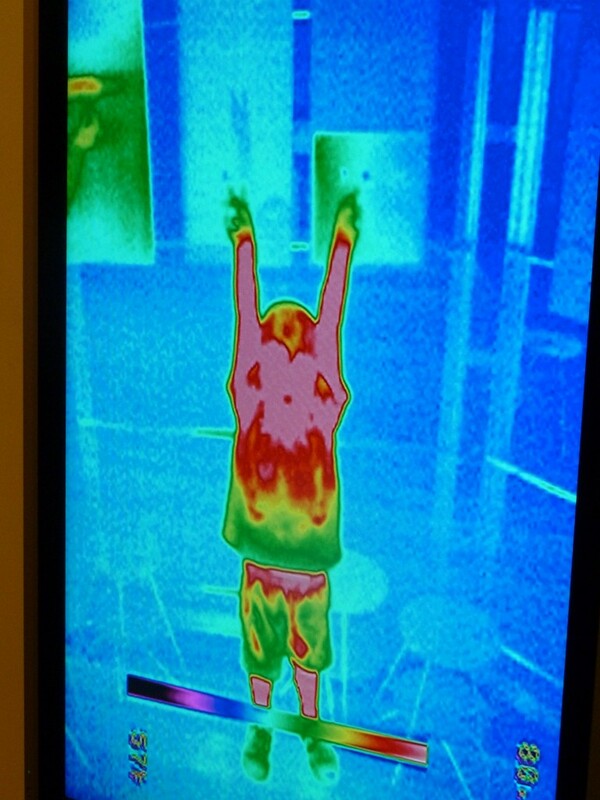 Heat-seeking AK Kid at the Anchorage Museum’s Imaginarium Discovery Center. I remember field trips to museums as a kid. We crammed in the back of someone’s mom’s station wagon and drove downtown where we were met by a prim-faced representative of said museum who led us around, one boring exhibit to another, showing us the names of things but nothing about them. Eventually we gave up paying attention, and our chaperones gave up making us, and we all ended up throwing in quarters in the vending machines near the entrance, or playing tag between the Pacific Northwest Indian exhibit’s displays. At least, I think that’s what it was. It’s not that way now. As 2017 streaks ahead, museums around the world are genuinely focused on enhancing the visitor experience for the millions of young people who walk through their doors; and not just because it cuts down on misbehavior. They do it because it is the right thing, a way to engage, encourage, and inspire kids to stop and take notice of the people, places, and events that have shaped their world. Alaska’s museums are no different. From weeklong day camps to interactive field trips that capitalize on the current level of technological knowlege among the 0-18 age set, Alaska museums, be they big or small, are focusing on the elements of discovery. According to the American Alliance of Museums, a group dedicated to fostering the growth of museums in the United States, museums in our country spend more than $2 billion dollars a year creating and implementing youth education programs. Let that sink in. Also impressive is that 55 million student visits occur each year to museums, whether through field trips, camps, or other group opportunities. And that number is only expected to grow as museums continue to foster the youngest generation. Alaska’s museums are state treasures indeed. Regardless of their areas of focus, the museums below have all committed to Alaska kids, and deserve our patronage. In case you haven’t been lately, or are making plans to visit in 2017, here are a few reasons to stop by these facilities in Alaska’s two largest cities. Anchorage Museum at Rasmuson Center: Located in downtown Anchorage and undergoing yet another expansion in 2017, the Anchorage Museum is a popular destination for visitors, but also works hard to support young residents. Right now (ending this weekend), Camouflage – in Plain Sight is winding down but still offers a unique view into “concealment by design” ranging from animals to military. Over spring break in March, kids can attend day camps or special workshops covering topics like robotics, digital art, or concepts of Arctic adaptation. Geared for children age 7+, this is the perfect way for school-agers to spend their off week. Earlier in March (3/3) a new exhibit called the Polar Bear Garden provides an interesting look at “the space between Alaska and Russia”<—-There’s a lot, you know. For kids into geography or the history of Russia-U.S. relations, this is going to be an exceptional product. Go HERE for details. From museums to parks, ATIA and local visitor bureaus can help you plan a wonderful family trip to Alaska. Alaska Aviation Museum: Jumping from great to extraordinary, this museum, located on the shores of Lake Hood in Anchorage, has made a transformation to draw in kids. 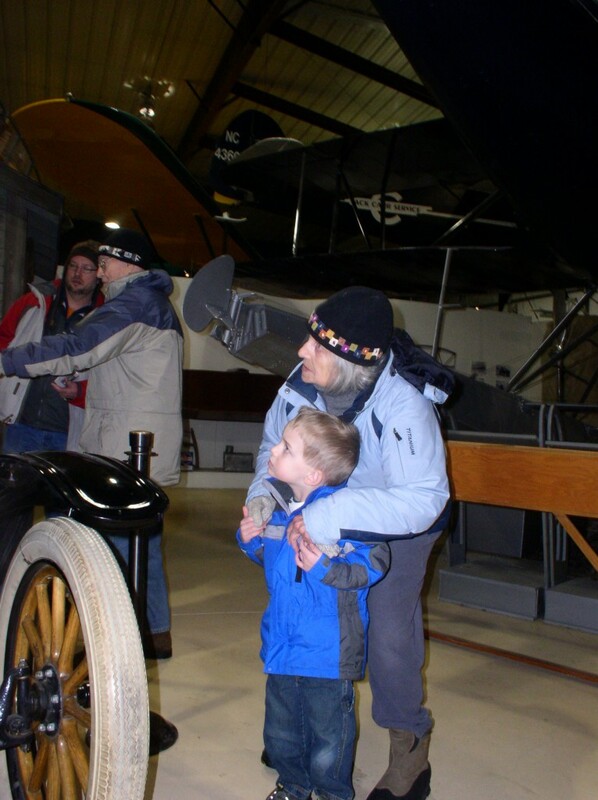 The third Saturday of each month is Aviation Adventures Free Family Day, with FREE admission courtesy of BP, and full of hands-on aviation-themed crafts, activities, and of course, access to the ever-changing exhibits that wow everyone from toddler to teen, and beyond. A membership is a mere $75 for a family, and it has truly been a worthwhile investment for us. Between the 3 hangars and views of fascinating Lake Hood, the busiest sea plane base in the world, there’s plenty to see and do. 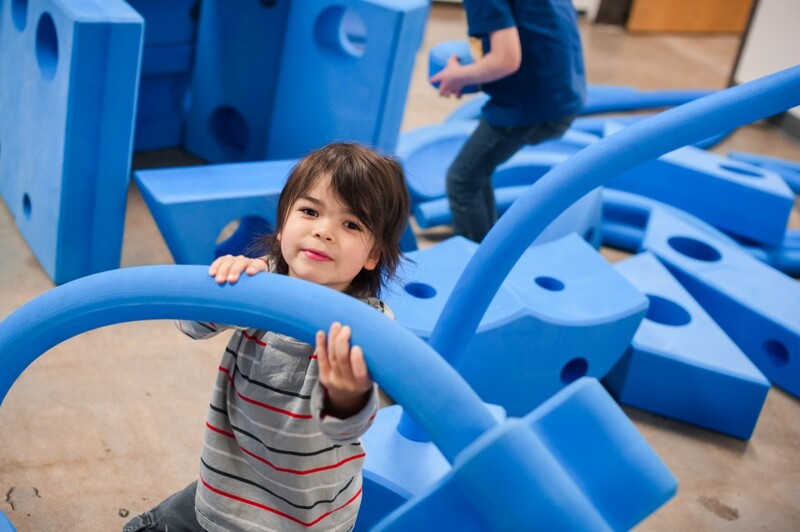 Fairbanks Children’s Museum: This powerhouse packed into a small package, the Fairbanks Children’s Museum is truly Alaska’s only all-kid facility, and just keeps growing. I was there this week and truly was awed by the offerings of hands-on displays teaching everything from music to physics to natural science. 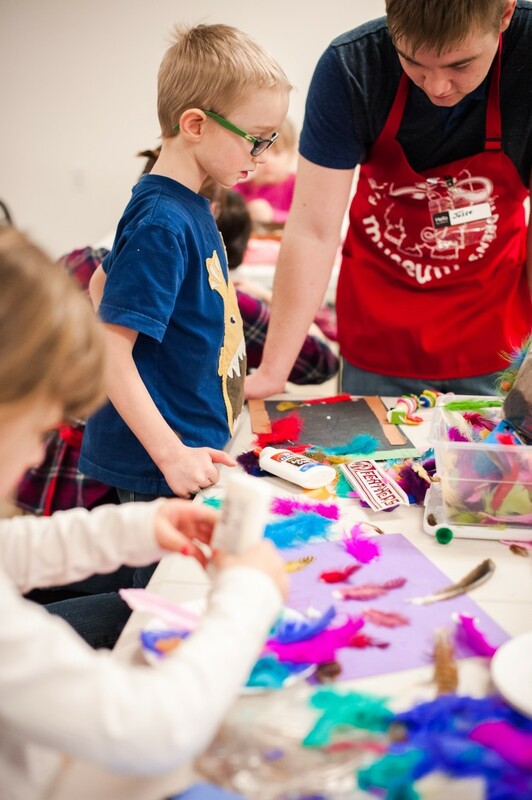 The museum provides classes for yoga, movement, science, music, and a cool thing referred to as “mess-making.” Going to Fairbanks? Do not miss this place. University of Alaska Museum of the North (Fairbanks): This enormous facility is located on the UAF campus, so not only are the experiences amazing, the views are too. While many exhibits are geared toward older kids and adults, the museum strives mightily to appeal to kids of all ages with their regular events. A sleep-over is scheduled for February 17-18 <—think about it, you own Night at the Museum! 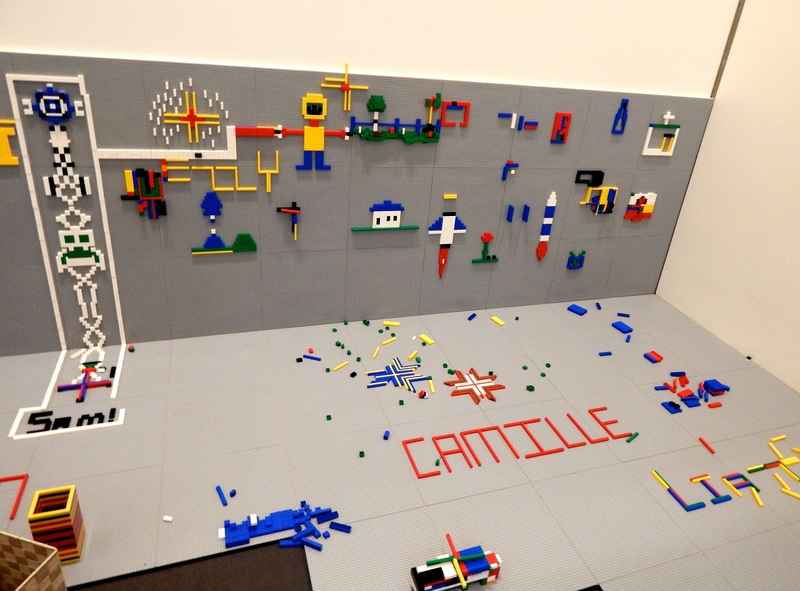 ; and a teen studio is being developed for older kids wanting a more intensive artistic platform. Smaller kids will like the regular Early Explorers and Junior Curator events, and monthly Family Days are meant for everyone in the crowd. 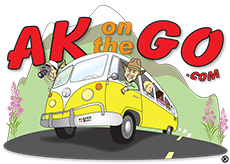 “Learning through doing” makes so much sense, and AKontheGO is proud to support facilities working hard to make growing up fun! Posted in Cultural opportunities, Museums and tagged Alaska, Alaska with Kids, Anchorage, Anchorage Museum, Fairbanks, Fairbanks Childrens Museum, Family Travel, Museum of the North. ← We’re Live for Family Fun Camp – Spring Edition!